Mask, the Regenerating Serum and the Treatment Lotion with any La Mer order. Free 15 Piece Beauty Bag with $100+ order. $75 off $250+ Bliss, Remede, or Elemis items. 4 Free Samples with $75+ order. $40 off $150+ Bliss, Remede, or Elemis items. 20% off Bliss, Remede and Elemis items. 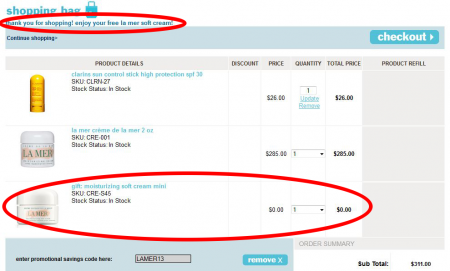 Intensive, Moisturizing Lotion and Soleil De La Mer Spf50 Samples with $150+ La Mer order. Buy 3 Get 1 Free any order. Spa days make for an awesome mid-daydream but let’s face it, who has the time? In the real world of overtime, carpool wars, laundry lists, and dinner duty – driving to get the nearest facial, scrub, or cleanse is the last thing on your mind. Luckily Bliss brings the treatments to you! With glowing deals on skincare, bath & body products, beauty goods, hair styling tools, and more – you can get into your best skin without leaving the privacy of your own bathroom. Apply a Bliss coupon code at checkout today and achieve a higher state of happy and savings too! Sometimes life is full of conflict. Between co-worker refereeing, friendly debacles, dating debates, and family feuds – there’s little time left for you. Bliss brings the happy back into your life, with their full line of trademark beauty and skincare goods. Pick your method of pamper – from pop cult favorites like Bliss Body Butter, Best of Skintentions, Problem Salved, Fatgirlsleep, Fabulips, or The Youth. Shop their endless selection of unique products, or Bliss spas in a bottle, and much like your soy candles and chevron wall decal – you can exfoliate/moisturize/mask/peel/groom-it-yourself, right in the comfort of your very own rent stabilized, gentrified, loft-sized (apartment) home. Bliss not only carries the leading treatments and cosmetics, they also reward you for shopping! By joining their exclusive “Glow-It-All” club, you earn Glow points with each purchase, Bliss-clusive members only offers, entry into the shopping sweepstakes, and double Glow points for auto-refills. Your Glow-It-All membership also grants you access to the latest and greatest products, insider tips, Bliss breaking news, and friend referral credits. For those who need a more personal touch, Bliss has 22 innovative “pretention-free” spas in W Hotels worldwide, from South Beach to St. Petersburg to Hong Kong to Hollywoodland. Bliss saw its start in spa form when they first opened in New York City back in 1996. 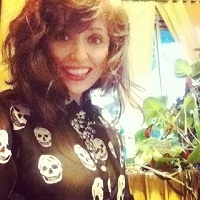 Their signature treatments and “no attitude,” happy approach revolutionized the industry, making them so sought after, that they created their own unique product line. The Bliss fabulous touch goes into everything from their colorful and playful packaging to their pro-powered products – letting you recreate the Bliss experience at home, with the same spa-strength effects. Bliss humanitarian and aid efforts gives those with a brave face, a chance to trade it in for a happier one. Their R.E.S.T. Intentions Massage benefits the R.E.S.T. Initiative who brings relief to cancer patients undergoing chemotherapy. They’ve also donated 75% of the purchase price of Glamour Gloves and Softening Socks to international children’s organizations supporting relief in Haiti. In conjunction with their spas, they also host countless annual benefits and fashion shows to raise money and awareness for various other charities and those in need. Bliss products are designed to make you feel healthy, beautiful, and happy everyday. Even on those days when you can’t pack up and schlep into a salon. We at CouponPal are blissed out on savings and we’re bringing you the deals that will turn your spending frown upside down. Use a Bliss coupon on your next order to get spa-tactular savings and results. Bliss can help you feel better from head to toe--literally! Their products range from foot scrubs to hair treatments. While you’re browsing for the perfect pampering product, here are some questions you might come across. Why isn’t my Bliss coupon code working? If your Bliss coupon code doesn’t seem to be working, check to make sure there aren’t any special restrictions that apply. Sometimes coupons have fine print like an expiration date or a minimum size order. You can reach a customer service representative by calling 1-800-243-8825. You can also fill out an email form at Contact Us. What is the return policy at Bliss? Bliss wants you to love all of their products, but they understand if you’re not happy with an item. You have 30 days to return the item, but you are responsible for shipping and handling costs. Bliss does accept opened items, but they must not be excessively used. Also, you need to return the item in the original packaging it came in. Unless you have a Bliss coupon code that offers discounted shipping, you do need to cover the cost of shipping the items. Also, check to make sure that Bliss isn’t currently offering a deal on shipping (like free shipping on orders over $50.) For more information on shipping rates, you can visit the Shipping Information page. Bliss currently accepts Visa, MasterCard, American Express, Discover, Diner’s Club, and Bliss Gift Cards. How do I join the Bliss ‘Glow’ It-All Club? You can easily join the ‘Glow’ It-All Club by going to the Sign-Up page. When you join, you can earn glow points (worth $1 each) for every purchase you make. You’ll also receive exclusive members-only offers, the inside scoop on new merchandise, and double glow points for auto-refill purchases. If you love Bliss products, this special club is definitely worth joining. You don’t need a coupon code to enjoy awesome sales, free shipping and samples at Bliss Cosmetics. But there are often coupon codes for extra goodies when you purchase one of your favorite brands. Using a Bliss coupon code is a simple matter of finding one that meets your special details and restrictions. Step 1) Select an appropriate coupon code. First there will have to be a coupon code that is right for your needs. La Mer has a reputation for being some of the best moisturizer that is made out of phytoplankton on the planet, so lets try it. 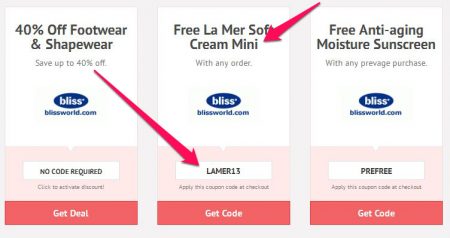 As you can see from this coupon, anyone that makes a purchase of La Mer qualifies for a free travel sized La Mer with this code. Step 2) Click on the coupon to get the deal. When we click on the coupon it opens as a pop up screen with the details. 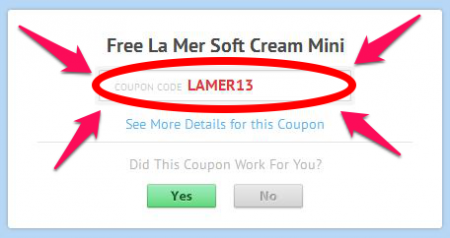 In this case the coupon code is: LAMER13. Step 3) Put preferred item in your shopping cart. 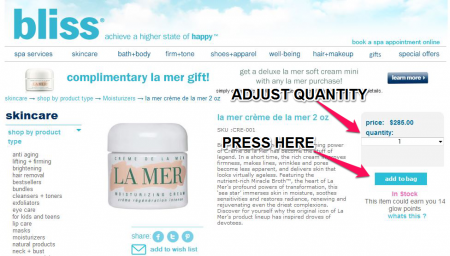 At the Bliss website I pick my La Mer item, a 2 oz jar of La Mer Crème de la Mer for $285, along with a Clarins Sun Control Stick for $26 that catches my fancy. Then I navigate to my shopping cart by clicking my Bliss Bag in the upper left hand corner of the screen. 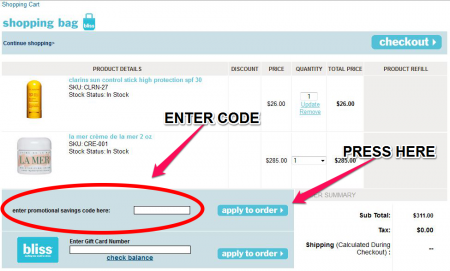 Step 4) Apply coupon code. Immediately after we are taken to a screen where the coupon code can be entered. Look for a field in the bottom left next to where it says ‘Enter promotional savings code here.’ I do so and then select the button that says ‘apply discount’ to the right. Step 5) Confirm coupon acceptance. When the coupon code is accepted, we see a message bearing this news at the top of the shopping cart. The free sample is added to the cart next to the value of zero dollars.